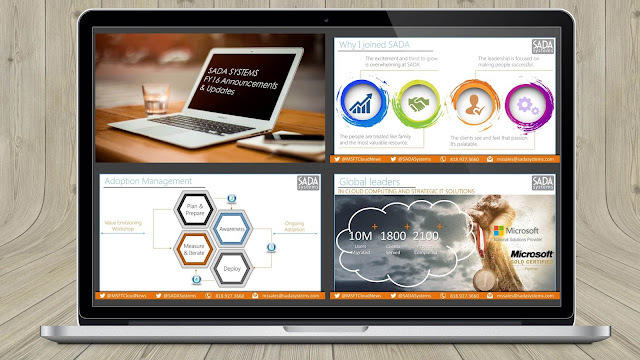 SADA Systems, an award-winning Microsoft National Solutions Provider and a premier partner aligned with Microsoft’s Mobile-First, assigned me the design of their webinar PowerPoint presentation, which was on the latest cloud solutions they developed. The challenge here was that I had to revamp a 55 slides deck in less than 24 hours. "Beyond impressed with Miroslav's skills, timeliness and ability to deliver a really high quality PPT within such a tight deadline."